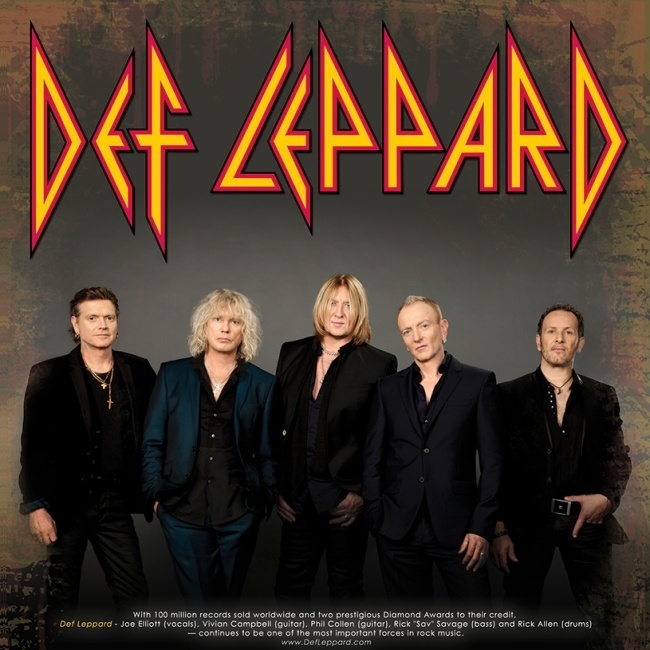 Def Leppard guitarist Vivian Campbell has said the 2015 North American tour may be announced next week. Vivian again commented to fans about the show announcements and suggested Canadian fans will only have to wait until next week to find out dates. If you remember Vivian told fans they would announce the Summer Tour 2014 on St. Patrick's Day (March 17th - a Monday) and that turned out to be true. Obviously US and Canadian dates usually go together. Lep's recent summer tours dating back to 2005 have been announced between February and April of the same year. The Foo Fighters recently announced a North American tour for next year around the same time Joe has said they'll be in the area. The trend of announcing tours earlier might continue next week with Lep. Vivian had told fans yesterday that more tour dates would be coming "very soon". And as mentioned then Joe gave an indication of the tour routing in September - "And I think what we're gonna do is start on the other end of the world. Australia/Japan. Work our way back through Europe and then hit the States maybe July/August.". "Next week might bring some good news, Larissa."